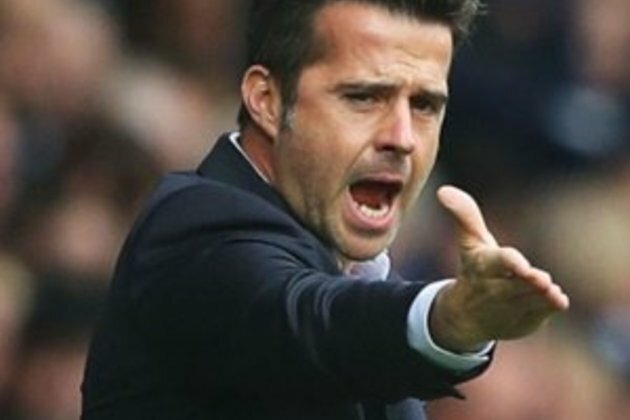 Liverpool - Everton manager Marco Silva has been fined Pound 12,000 for confronting match officials on the pitch following his side's 3-2 defeat at Newcastle earlier this month, the Football Association announced Tuesday. "The Everton manager accepted an improper conduct charge from the FA, which resulted from his behaviour on the field of play at the end of the Premier League fixture against Newcastle United on March 9," the FA said in a statement. The Portuguese was furious at Newcastle's winning goal being allowed to stand despite what he saw as "five Newcastle players in the same line in offside positions", and confronted referee Lee Mason on the pitch before angrily questioning the linesman who had not raised his flag. After the match -- lost after Everton threw away a 2-0 half-time lead -- Silva tore into the officials, saying that for "the third goal it was a big mistake by the assistant, it was a clear offside..."
But it was his move onto the pitch that led to the charge by the FA, English football's governing body, and the fine by an independent regulatory commission.